International Scouting Services (ISS) has released their December rankings for the 2013 NHL Draft. Head scout Ross MacLean can be heard every second Saturday on The Pipeline Show in our regular and ongoing ISS Draft Countdown segment. Ross spotlights five different members of the Class of 2013 and offers listeners his opinion on why a player should or should not be considered strongly for the draft next June. After the jump, the top 30 skaters and top 10 goaltenders according to ISS. Time for you to step up and put your prognostication skills on the line when it comes to the World Junior Championship. Will this be the year Canada ends it's 3 year drought? Will Russia win on home ice? Can Sweden defend? Will Finland get a medal? If you think you can pick the gold, silver and bronze then email us here. On the line is a $100 prize package from our good friends at Evolution Golf. They are the perfect holiday party spot for your group, and they have gift certificates which will take care of some of your Christmas Shopping. Ask them about their upcoming Spring league. So there you go, send us your predictions of Gold, Silver, Bronze and you could be hitting the indoor links in Edmonton. Remember in case of a tie, the earliest entry wins. Only one entry per email. The architect of Canada's World Junior team should get double pay, after all he's put together 2 different teams. Not entirely different but 6 or 7 players are missing from one of them. Kevin Prendergast will tell you it's worth it if he gets to take the best in Canada to Russia in two weeks, but until then he'll have a few sleepless nights. Yesterday Dean threw caution to the wind and offered up his final roster for Hockey Canada heading into the 2013 WJC. Today it's my turn. Three goaltenders, seven defencemen and thirteen forwards who will head to Russia on a quest to capture Canada's first gold medal since 2009. And as Dean pointed out yesterday, a lot can change between now and the end of camp including injuries - just ask Ty Rattie and Dana Tyrell. Now that we know who will be trying out we can start to narrow our look at the team that will be charged with ending Canada's gold medal drought. The Canadian national anthem hasn't been heard following the final game since Jordan Eberle's heroics in 2009. Eberle, now an Oiler will watch a current teammate lead the way this year. December is World Junior Championship month on The Pipeline Show. As one of our four "Majors" on our seasonal calendar, you can expect a lot of talk focusing on the 2013 WJC. Today the preliminary and camp rosters of four different countries were named. A quick rundown follows after the jump. 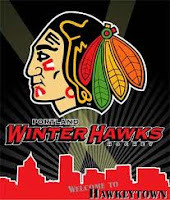 The WHL has announced massive penalties against the Portland Winterhawks today for violations which will result in the loss of 9 draft picks, a $200 thousand dollar fine and the suspension of GM and Head Coach Mike Johnston for the remained of the 2012-13 season and playoffs. 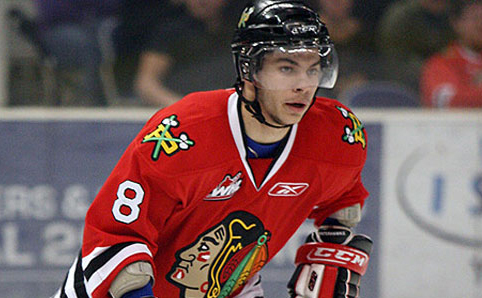 As first reported by Dean Millard of The Pipeline Show and Global Sports back on November 13th, the league has been investigating the Winterhawks for several weeks. After the jump, our reaction. The first chapter of Eamon McAdam's blog series this season arrived back on October 7th. If you missed that introduction you'll definitely want to check it out HERE. Since then, the USHL season has begun and the World Junior A Challenge also took place in Yarmouth, Nova Scotia with McAdam backstopping TEAM USA in the event. Sharing his thoughts and experiences of the last two months, The Pipeline Show is pleased to be able to present the second blog entry from Waterloo Black Hawks goaltender Eamon McAdam. 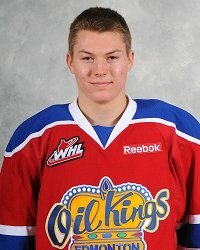 Back on September 17th Edmonton Oil Kings forward Curtis Lazar contributed his first blog post of the season. If you missed it you can find it HERE. Since then the WHL season began and the team has played 23 games. The Subway Super Series has come and gone and NHL Central Scouting's preliminary rankings have been released. 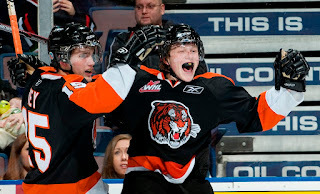 Offering his thoughts on the last two months, The Pipeline Show is pleased to be able to bring you the second chapter in the 2013 Draft Blog by Curtis Lazar of the Edmonton Oil Kings. No question that with 8 of the top 10 picks going to defencemen, 2012 was the Year of the Blueliner for the NHL Draft. It's starting to look like the Class of 2013 has an abnormal amount of high-end netminders. Nowadays, it seems like many teams have taken a policy of not drafting goalies until the later rounds. In 2012 only two netminders went in the 1st round and that's the most since 2006 when four pipemen were selected early. Half the drafts since that year have seen no goaltender taken in the opening round. The reason most often given is that goalies mature so much later that it makes more sense to basically let someone else draft, develop and groom a netminder and then acquire him via trade when he's ready to contribute. It's a reasonable strategy considering the multitude of examples in the NHL of goalies draft in the 5th, 6th or 7th rounds. But there are examples of teams who identify a goalie they think can be an exception to the rule; someone who could potentially play at the NHL during his entry level contract this making him worth using a 1st or 2nd round pick on. Drafting such a goalie means not having to spend future assets to get him down the road. 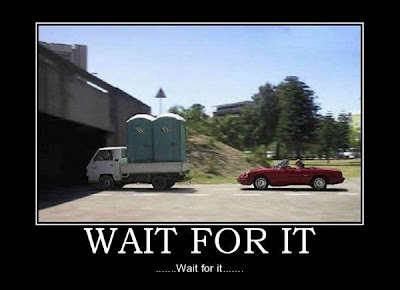 Harder to do but better asset management for those teams that have been able to pull it off. I believe that with the 2013 crop there are already 5 goalies that fit that description. With two of their 20-year-old stars on the sideline and only one of them expected to return this year, the Kamloops Blazers have added another vet to the their first place team. The move is not without risk however as the new Blazer is Charles Inglis, a player with baggage now joining his fourth WHL team. The official release from both teams is found here on the WHL website. Now that the Subway Super Series is wrapped up and games are being played once again it was time get back in action. Today we profiled a highly touted goaltender for the 2013 draft, or what Guy is calling, the year of the masked men. Ok I just made that up, but he does think there could be 3 in the first round, and we spoke with one and about one today. Early on in Wednesday's game between Russian and Team WHL, Travis Ewanyk was a one man wrecking crew. Knocking down Russians like Walter Sobchak does pins...unless it's Shabbas. Unfortunately, the Russians caught up with Ewanyk in the second period and he was sent for a ride courtesy of Mikhail Naumenkov. You can see the video here. From Laxdal this morning. Travis Ewanyk will have an MRI on a lower body injury on Friday here in Edmonton. Word from out west has Ewanyk needing an MRI on his knee or quad as soon as he returns to Edmonton. As for how long he'll be out, TPS is hearing that this isn't a day to day thing and could keep the Oilers prospect sidelined for a while. Unfortunately it's deja vu for Ewanyk who sat out most of last year with a shoulder injury. He ended up playing more playoff games then regular season games, but was key for Kings in their quest for the Cup. International Scouting Services (ISS) has released their November rankings for the 2013 NHL Draft. Head scout Ross MacLean can be heard every second Saturday on The Pipeline Show in our regular and ongoing ISS Draft Countdown segment. Ross spotlights five different members of the Class of 2013 and offers listeners his opinion on why a player should or should not be considered strongly for the draft next June. Last night on The Pipeline Show Guy and I discussed a possible coaching change in the WHL. 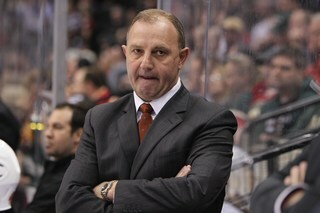 However we were discussing Saskatoon and how Jeff Truitt might be surfacing with the Memorial Cup hosts. We were in the right conference, but wrong division. TPS learned this morning that Truitt will join the Red Deer Rebels staff along with Brent Sutter who will return to the bench of the team he coached to a Memorial Cup championship in 2001. Shortly after TPS broke the story, the Rebels released the their statement. This past August the Windsor Spitfires were handed a $400,000 fine for recruiting violations. A month later it was reduced to a $250,000 fine, as well as, some draft pick relief. TPS has learned from multiple sources in the WHL that the Portland Winterhawks could be the next CHL club to face sanctions for player recruitment. 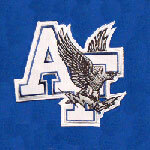 Friday night's game between Air Force and Penn State ended in a 5-1 win for the visiting Falcons. But don't try and tell head coach Frank Serratore that his team deserved the win let alone that it was an easy one. After the game he went on an extended rant about his team's horrible performance, the only reason why they were even in the game and how no one should take the Nittany Lions for granted. Coach Serratore was a guest on TPS a few years ago and was very generous in the praise of our show, we've highlighted a few of his comments on the right side of the blog since then. After the jump is the video of the soon-to-be-legendary rant and for me, it's not just what he says but the way he says it; the mannerisms, the facial expressions... CLASSIC. During all the CHLPA hoopla last week there was one chapter in the series I wrote which touched on the possibility of CHL players retaining their NCAA eligibility. While that may in the end prove to be nothing more than a pipe dream, the conversation about whether it would be a good idea or not was definitely interesting. I received a letter from an owner of a USHL franchise which outlined his opinion on the subject and I found it intriguing. Here is the owner of a team from a league largely considered to be a gateway to the NCAA and, to some extent, in competition for players with the CHL. I asked the owner for his permission to post the letter and he agreed. After the jump, an open letter from Josh Mervis, owner of the USHL's Muskegon Lumberjacks on whether allowing CHL players into the NCAA hockey should be considered. 72 days, give or take a few hours. That was the public life span of the Canadian Hockey League Players Association. What became a story back on August 20th ended in a spectacular, controversial fashion on November 1st. 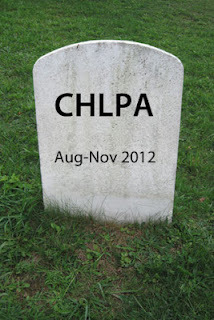 In the wake of scandalous accusations, the abandonment of legal representation and the inevitable resigning of its Executive Director, the CHLPA is as good as dead. Edmonton Oil Kings G.M. Bob Green pulled off his biggest and toughest trade since becoming G.M when the team re-entered the WHL 6 years ago. Green picked up a massive minute muncher who is also and Edmonton Oilers draft pick, which should make the parent club smile. This was not the intended next chapter on the CHLPA series here at Coming Down the Pipe but I can't possibly ignore the breaking news on Halloween. According to reports from TSN's Dave Naylor (which has to be seen to be believed) , Joe Warmington of QMI Agency and Steve Simmons of the Toronto Sun, the very identity of CHLPA spokesperson and board advisor Derek Clarke is up for debate. Apparently Clarke, who has not yet returned a text message from a couple of hours ago, will appear on TSN Thursday to prove he is not who some claim him to be - a noted con-man named Randy Gumbley. The stories above detail the crimes committed in the past by Gumbley. The air of mystery is palpable and all will be revealed. It's like wondering what the members of KISS looked like during the height of their popularity in the 1970's. Or the secret identity of Spiderman. Maybe it will be more like the unmasking of a villain in an episode of Scooby-Doo. Whatever, it definitely sets up an incredibly important day for the fledgling CHLPA. If the "union" hopes to hold onto any sense of credibility it may have, and there are many who suggest they never had any to begin with, Clarke's TV appearance tomorrow has the potential to end the "union" before it really begins. 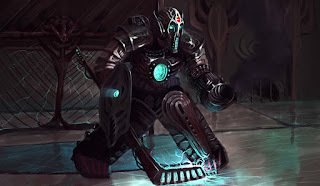 In the future, hockey will be played by robots thus eliminating concerns over injuries and the escalating salary costs associated with the sport. Fans will have an unobstructed view of the game because the boards will be replaced by a force field. Players, or Robo-Skaters, will be controlled by remote control not unlike the boxers in the 2011 movie Real Steel (which I highly recommend). But if it sounds like you won't recognize hockey in the 22nd century, don't worry. We'll still have the trapezoid, touch icing and a clone of Don Cherry. OK, I just wanted to have a bit of fun before today's write up turns more serious. The above might sound crazy but I'm sure there will be plenty of readers today who feel the same way with what comes next. Of course I'm referring to how the hockey world could change if the CHLPA has their way. "I just wanted to tell you that the biggest hurdle for the NCAA eligibility was squashed by Hockey Canada, the CHL and USA Hockey." - Derek Clarke, CHLPA Advisor by phone on October 27th, 2012. 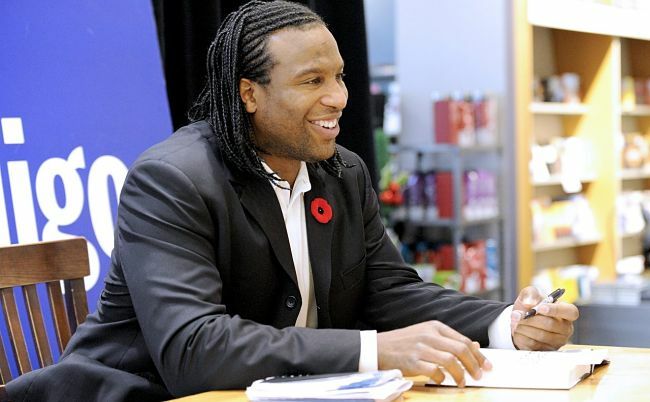 The primary objective of the CHLPA, according to Executive Director Georges Laraque and Spokesperson/Advisor Derek Clarke, is to ensure that players in the CHL have their education needs taken care of. As explained in the last part of this series, even the legal actions taken by the CHLPA over the last few days in the OHL and QMJHL (which will continue this week I'm told) are actually about forcing the CHL and Hockey Canada to meet with them. The talk about suing for minimum wage, etc. is all Plan B should Plan A, a new CHL education package including a funding model designed by the CHLPA, not come about. 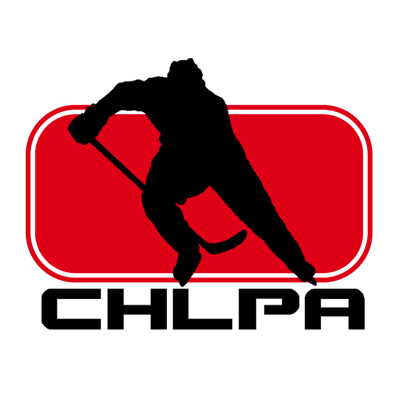 A large part of the CHLPA's argument stems from the ongoing debate as to whether the CHL is a professional or an amateur league. If it's a pro league, then the "union' suggests that the players, as employees, should be paid a salary which would be enough for them to pay for their own education should they not go on to higher levels of the game. If it's an amateur league, then the "union" sees things much differently and that's where the NCAA comes in. Oh dear Lord. Settle in for a long read because this will take a while. 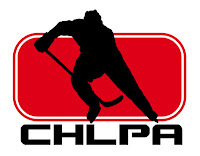 On Thursday the CHLPA circulated a letter to the OHL clubs, CHL President David Branch and Hockey Canada President Bob Nicholson. Yesterday I shared insight into that scenario after I had an opportunity to speak with CHLPA spokesman Derek Clarke. Today I continue the story by focusing on the actual motive behind Thursday's move. According to the CHLPA, it's not about the money at all. 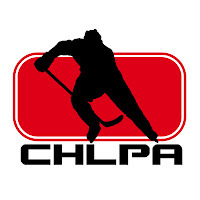 The CHL has released a statement regarding the CHLPA. If you haven't read Guy's article about the latest developements with the CHLPA, it's on our main page. After the jump you can read the CHL's statement. The first serious salvo has gone off between the Canadian Hockey League and the group collectively calling themselves the CHLPA, the would-be union for major junior players. On Thursday, the CHLPA leaked a copy of a letter to selected media which had been sent to the owners and General Managers from all 20 member clubs of the Ontario Hockey League, CHL President David Branch and Hockey Canada President Bob Nicholson. The letter outlines a number of grievances the proposed union wishes the CHL to address on the threat that not doing so would result in legal action. The Pipeline Show spoke with CHLPA spokesperson Derek Clarke last night about the motivation behind the letter, the accusations of intimidation surrounding the Calgary Hitmen, the results of the Alberta Labour Board, the union's ultimate goal and what happens next. Much, much more after the jump. It was interesting during the Nic Kerdiles situation at Wisconsin when discussing the young man's choices. If he was suspended for the entire season his options would be move to Kelowna of the WHL or sit out an entire season while serving his suspension and attending classes. Sit out the entire season? Seriously? Would his NHL team let him do that? Wouldn't his development totally drop off? Tuesday night Guy and I spoke with someone who did just that, took a year off and it doesn't seem to be affecting him. 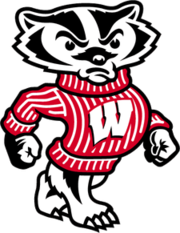 After the past couple of years most people just assumed that Nic Kerdiles was going to jump ship and join the Kelowna Rockets instead of serving his 10 game suspension at the University of Wisconsin for an NCAA violation. Those folks might have been stunned today then when the freshman forward decided to stay with the Badgers. 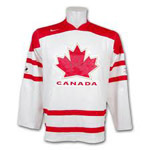 The 2013 World Junior Championship is two months away making it a hectic 60 days for Hockey Canada between now and then. The upcoming Canada-Russia Subway Series will be a major factor in deciding which 40-some players receive invitations to the December camp before 22 are chosen to go to Russia. 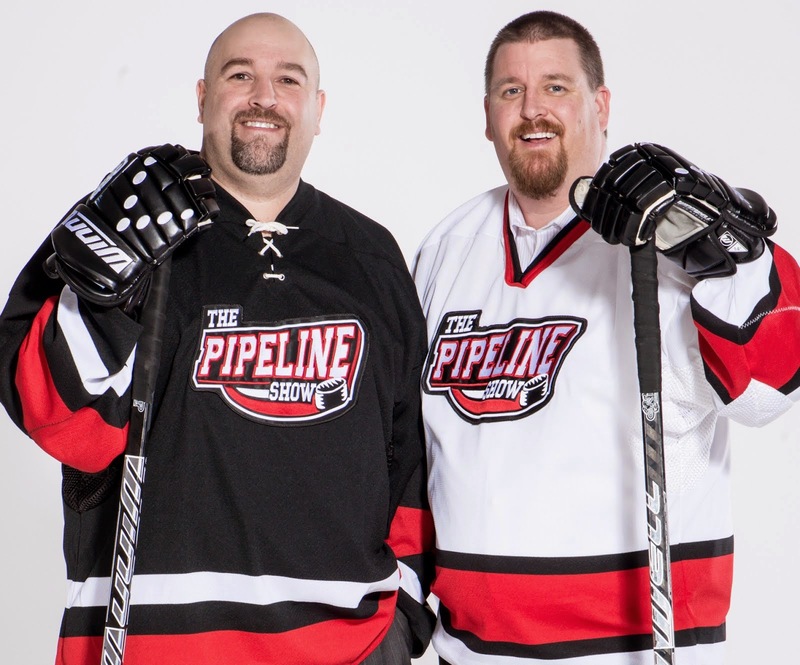 Head scout Kevin Prendergast was a guest on The Pipeline Show this past Saturday and updated our audience on the search for players to end Canada's two-year gold medal drought. 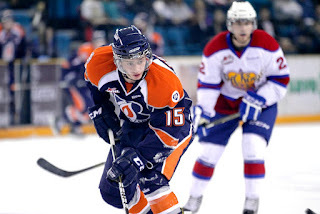 When we did our WHL pre season predictions, Guy's final was the defending Edmonton Oil Kings up against the Kamloops Blazers. Tuesday night the two teams met and the Blazers snuck out of town with a 5-4 shoot out victory. Some observations after the jump. Tuesday night we welcomed one of our favourite guests to the show as Chris Peters from United States of Hockey joined Guy and I to talk NCAA eligibility. Yes it's a fascinating subject and it never seems to get old. While it would have been great to discuss Northeastern's great start or Penn States first 2 games of division 1, the big story is whether or not Nic Kerdiles will win his appeal and be allowed to play at Wisconsin this year or not. On Tuesday I made my predictions for the All-Canadian Teams when it comes to NCAA hockey in 2012-13. Today I'm talking strictly about the rookies, the guys just making their debut at the college level this year. I've picked a 1st and 2nd team composed of 12 (actually 13) players from 12 different Division I programs, 4 different conferences and one school playing as an independent. Somewhat surprising is that despite the freshmen coming from so many different places, there is still one conference that is fairly dominant for incoming, top quality Canadians. Our Friends at USCHO.com, College Hockey News and Inside College Hockey provide great, all year round coverage of NCAA hockey. 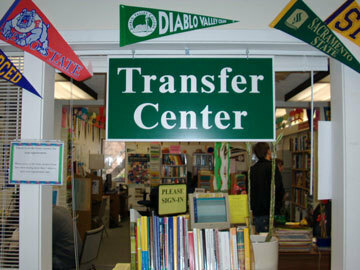 They, among other publications, have done a fantastic job of getting college hockey fans ready for the new season. Pre-season polls and power rankings, Hobey Baker predictions and All-Conference teams are all available for readers who could spend hours going through it all. But there's an angle that provide on The Pipeline Show that doesn't get touched on by our American based counterparts, and understandably so; the Canadian perspective. Roughly 25-30% of NCAA players are Canadian and that's one of the major reasons why college hockey is a focus for us on the radio show. Not only do Canadians play college hockey but they do it well. The list of former Canadian NCAA players in the NHL and in pro leagues around the world is as extensive as it is impressive. And more are on the way. The following are my picks for the 2012-13 All Canadian NCAA Teams. We're pleased to have the second member of the NHL draft Class of 2013 contributing the first chapter of his ongoing blog series with us this year. Goaltender Eamon McAdam is top rated goaltender from the USHL according to NHL Central Scouting's preliminary Future Watch release. Eamon joins Curtis Lazar as the first two players we have recruited to give us a behind the scenes look at life for a NHL prospect in his draft season. Without further ado, here is the debut blog entry from Eamon McAdam of the Waterloo Black Hawks. We are officially one game into the 2012-13 WHL schedule after last night's Oil Kings 5-3 victory over the Kootenay Ice game. Tonight, 16 more teams get underway including 6 of the 10 teams that make up the league's Western conference. That's the conference we preview today. After the jump, my regular season prediction for standings and several individual awards as well. Yesterday we released our Eastern Conference preview and predictions and the Oil Kings and Kootenay kicked off the 2012-2013 WHL season. Now it's time for the Western Conference and who we think ultimately beats who for the Ed Chynoweth Cup. The Oil Kings opened up the season in fine style, and that was even before they skated past a pesky Kootenay Ice club 5-3. They celebrated just enough the season of success that was last year. You will have seen Dean Millard's predictions this morning and that means it's my turn now. I'm sure there will be some similarities but I think one thing he and I will both agree on is that the playoff race in the Eastern conference could be one of the longest, closest and involving the most teams that we've seen for a long time. My predictions for the regular season standings and for conference award winners after the jump. The WHL kicks off another season tonight with a match up of the past 2 Ed Chynoweth Cup Champions. Edmonton entertains Kootenay (which used to be Edmonton) at Rexall Place before a full slate of games hit the ice from Brandon to Portland on Friday. Here is how I see the WHL shaking down in 2012-2013. All 3 leagues hit the ice Thursday and there are changes from coast to coast; Stiffer penalties, suspension and freedom for goalies stand out to me. With Honourable Mentions going to Moncton, Kamloops and Belleville. The WHL begins play tomorrow night as the #2 ranked Edmonton Oil Kings host the Kootenay Ice at Rexall Place. The OHL also starts on Thursday with 8 teams in action includng the #10 ranked Oshawa Generals in Peterborough to taken on the Petes. The QMJHL regular season opens on Thursday with the defending QMJHL champion Saint John Sea Dogs at home to Acadie-Bathurst. What do YOU think of the rankings? "It takes two. 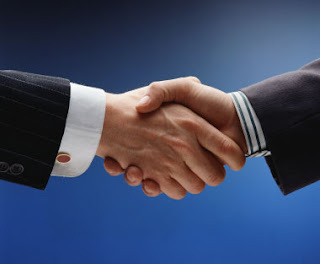 Just because you have your hand out, you're not shaking hands if the other guy is sitting on his." 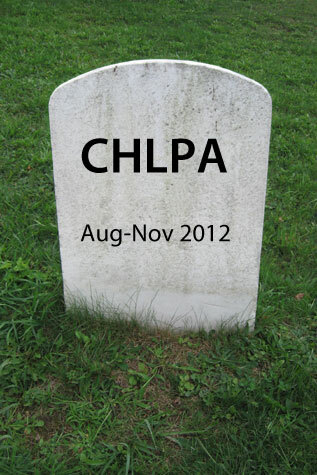 It's been close to a month since the term "CHLPA" first starting circulating around junior hockey. It's also been close to a month since we began extending our open invitation to Georges Laraque or someone else - anyone else - from the CHLPA to come on the show. As responsible broadcasters, Dean and I want to present both sides of a story. 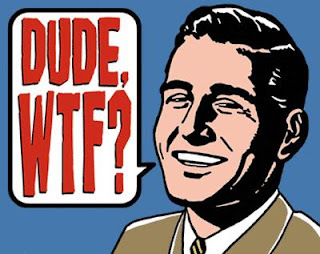 Unfortunately, while there has been no shortage of guests willing to come on The Pipeline Show to discuss the CHLPA from the perspective of player, agent, coach, general manager or media... it's been almost zero communication from the CHLPA itself. I say 'almost zero' because there have been a few emails back and forth although I think you'll agree, actual communication hasn't been the goal from their end. We've come to a crossroad on TPS. Do we continue to talk about and offer a platform to the CHLPA or do we follow the example of David Branch and the CHL - ignore them until there is something to actually talk about? It's been a small debate for us but the email we received from them last week followed by the text we got from an agent about them has pretty much made the decision for us. Since 2007-08 we have had a tradition of working with a few select players who are entering their NHL draft year. We thought it would be an interesting exercise that would allow fans a glimpse into what life is like for the players during a key point in their career. The list of players we have had the good fortune is extensive an includes several guys who would go on to be drafted in the 1st round that June. Jordan Eberle (EDM), John Moore (CLB), Michael Matheson (FLA), Mark Pysyk (BUF) and Joe Colborne (TOR) are five examples of guys we can proudly refer to as "former TPS guest bloggers". This year will be no different and today we're thrilled to present the first chapter from a key member of the Class of 2013 - Curtis Lazar of the Edmonton Oil Kings. One of the strongest columns on the CHLPA thus far was penned by Toronto Star writer Cathal Kelly on August 25th. I pulled some quotes from it for the story I wrote a while ago but there was so much more in the original that I wanted to revisit it. I thought the best way to go about that was to get the columnist himself on the show. Kelly's write up was no holds barred and cut through all the B.S. so effectively that I couldn't wait to see if, three weeks later, he still felt the same way about the CHLPA. His appearance on TPS Saturday morning was nothing short of audio gold. It's a huge year for Penn State and I'm not referring to the black eye last year thanks to the football program. The men's hockey team makes its Division I debut next month ushering in a new era for college hockey. This will be the final year for the CCHA conference and the last before the Big Ten and NCHC conferences begin next year. For the Nittany Lions of Penn State, the new chapter begins with a new look as well. As is usually the case with new uniforms, the response has been mixed. We want you to take a look and then tell us what you think, after the jump. On Tuesday night we once again left a segment available for anyone from the CHLPA to join us. Unfortunately we did not hear back from them. It's been the same with every show from the past few weeks; we reach out to them, they don't respond. So Tuesday Guy and I decided we would conduct one side of the interview and see if at some point we get the answers. By the way CHLPA: you are invited to join us this Saturday at 10:05 am or Tuesday at 7:05 pm (Mountain Time). The 2012-13 regular season begins in 10 days when the Edmonton Oil Kings host the Kootenay Ice at Rexall Place. It's a fitting start to the new season as the banner raising ceremony will be a prelude to the clash between the 2012 champs and the 2011 champs. While I will have predictions post before the new campaign begins, this is it. Today I'm throwing out some other thoughts as things cross my mind waiting for September 20th. The Canadian Junior Hockey League has hired Kirk Lamb to be its first ever President. Lamb is no stranger to the 10-league CJHL as he's been the Volunteer Chairman for the past 20 months. The CJHL's official release can be found here. Lamb, a former member of the AJHL's Bonnyville Pontiacs, is a Calgary-based lawyer who played NCAA hockey for the Princeton Tigers before a short pro career in the ECHL. He was a guest on The Pipeline Show just a couple of days ago and talked about some of the challenges facing the CJHL as he tries to bring more symmetry across the multiple leagues in Canada. We also spoke about the need for CJHL clubs to share in the lucrative development money that Major Junior teams enjoy for producing NHL drafted talent. You can hear that interview HERE. “Within 10 days everything will come to light,” - Sandra Slater, CHLPA on August 20th. The Canadian Hockey League Players Association has made a lot of noise over the last few weeks but very little is still known about who they are, what they want and how they hope to achieve their goals. It's also still unclear whether a CHLPA is actually needed or even supported by the players in the CHL. Despite the declaration quoted above, 16 days later we're still left with more questions than we have answers. This morning on TPS with Guy Flaming he was able to play a few clips from newly appointed CHLPA Executive Director Georges Laraque courtesy our good friend Allan Bristowe the Sports Director at PGTV in Prince George. Laraque is helping out at a hockey school in PG and after several attempts Bristowe was able to catch up with him and he was nice enough to share it with us. Click here listen in. The New York Rangers have managed make the most of the draft in recent years and at the same time they have exploited other franchises for their key prospects. The combination has led to a Stanley Cup contender with more top prospects still on the way. Derek Stepan, Michael Del Zotto, Carl Hagelin and Chris Kreider were all Rangers picked and Ryan McDonagh was practically stolen from Montreal. Potential NHL players still to come include J.T. Miller, Steven Fogarty, Boo Nieves, Brady Skjei and Scott Stajcer. The player I have settled on for the conclusion of this 30-player feature series is someone I get to see on a regular basis and has the production to get fans excited. The Canucks haven't seen a lot of positive results from their drafting over the last seven years. Part of that may be the quality of the NHL roster has kept some worthy prospects on the farm longer than they would be with other franchises. Another reasons may be that they've been picking late in round 1 for most of that time as well although that doesn't necessarily mean you can't find an impact player. The blueline is a bit thin when it comes to prospects; Yann Sauve, Patrick McNally and Kevin Connauton highlight the group. Up front the team has made nice value picks in Brendan Gaunce and Nicklas Jensen the last two years. It will be interesting to see how Jensen progresses this season as the Dane has chosen to return to Europe after two years in the OHL. It's been four seasons since Jordan Schroeder was taken 22nd overall. The Minnesota native is coming off a career year in the AHL with 44 points but fans have had to be more patient than they probably had expected they would need to be. Is this the year or is Schroeder nearing "more suspect than prospect" territory? There is depth in goal for sure. Cory Schneider's play has won over the fan base and it seems just a matter of time before Roberto Luongo is dealt. That will clear room for Swede Eddie Lack to join the big club after two years spent in the minors. There is also another goalie worth mentioning, less heralded than Schneider and Lack but he's the guy I've chosen for this series. Jay Heinbuck pulled a fast one on me. The Director of Amateur Scouting for the Pittsburgh Penguins was a guest on TPS in the weeks leading up to the 2012 NHL Draft and I made the mistake of believing his version of the Pens' strategy. According to the Heinbuck the Pens were deep with prospects on the blueline so probably shouldn't be expected to take any early in the draft. Then on draft day Pittsburgh acquires Carolina's 8th overall pick and selects Derrick Pouliot from Portland and then uses their own pick later in the same round on Olli Maatta from London - two defencemen. Problem was that it was an easy story to believe, Pittsburgh really does have a lot of quality on the back end. That list includes Simon Despres, Scott Harrington, Harrison Ruopp and Brian Dumoulin who they also added from the Hurricanes. The team is deep up front too starting with Beau Bennett, my initial pick for this series, who is coming off of injury plagued seasons at Denver but is expected to be an excellent pro. I like the goalie situation for the Penguins too with Brad Thiessen, Marty Murray and now Jeff Zatkoff as well. But the player who stands out to me is someone I recently got to know a bit better as he guested on The Pipeline Show just yesterday. He's arguably Pittsburgh's top prospect and he's headed for an uncertain pro debut this year.